The low-carb lifestyle is becoming increasingly popular, so there are now many low carb and whole grain breads to choose from in the regular supermarkets. 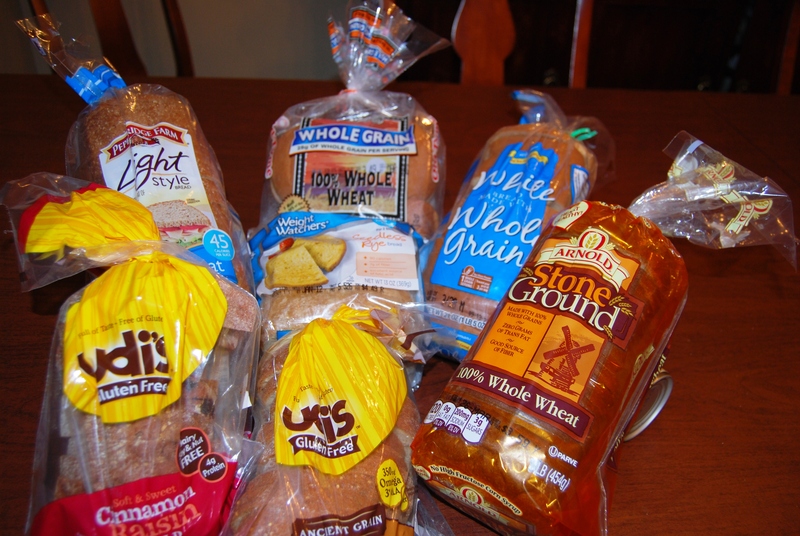 There are sliced bread options including whole wheat bread, rye bread and raisin bread, as well as wraps and rolls. There are also new options like the bagel thins, sandwich thins, pita bread, and lavash breads. Check the label and try to stay under 25 carbs per serving. In many cases, 25 carbs equals TWO slices! We like Weight Watchers rye bread which has just 20 carbs for 2 slices. Another good choice is Arnold’s Healthful 100% whole wheat bread with just 19 carbs for 2 slices! You can make big and fat sandwiches with generous portions of turkey and cheese, lettuce, tomato and mayo. Most deli meats are ok – the highly processed ones may have added sugar. You can also roll up the deli lunch meats in lettuce leaves with some spicy mustard. We also like Arnold’s 100% Whole Wheat Flax & Fiber Sandwich Thins which contain just 21 carbs. They have other varieties too. 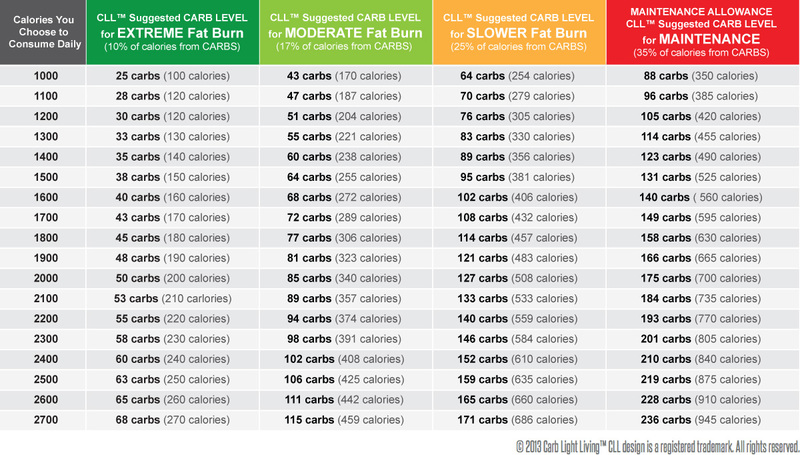 Please note: the original program has been modified and the daily allowances for carbs have increased from the numbers featured below (check updated carb chart here). So, you may use the following menus as a guide, but remember you may add a bit more food of your own choice to complete your daily meal plan.